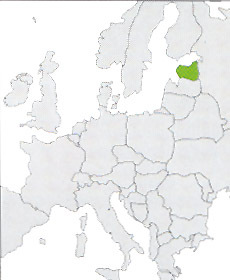 It is the most northern of the three nations Baltic, only a narrow arm of sea separates it from Finland. It is independent from Russia only from 1991 and it has already entered to belong to the European Community, with an elevated and rapids economic and democratic growth. The capital, Tallin, ancient hanseatic city of forehead to Helsinki, it has a very beautiful historical center, perfectly preserved and very alive, with a fantastic building entourage.